Enhance liturgies with Spanish and bilingual music for reconciliation, Baptism, confirmation, marriage, funerals and quinceañera celebrations. The 12 original compositions employ jazz, gospel and pop/rock styles as well as several syncopated Latin rhythms, including salsa, bossa nova, cha-cha, bolero and others. Marked by excellent musicianship and great instrumentation, the recording builds layers of sound with guitars, horns, flute, keyboard and an array of Latin percussion and string instruments. 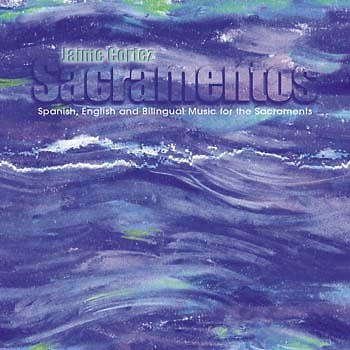 Sacramentos offers soulful music that draws the listener and the assembly into an authentic celebration of the transforming power of the sacraments. The CD also includes Spanish-only versions of five bilingual songs.